If one thing is clear, is that the Final Fantasy series is one of the best-known and most played video game series of all time. These games have legions of followers worldwide, and the release of a new instalment of the series is always something of a big deal. So it’s logical that Final Fantasy XV – the latest instalment of the series – is one of the most eagerly awaited video games of 2016, and also a game that millions of anxious Final Fantasy fans have been waiting for years to get their hands on. But a pair of lucky gamers have already gotten their hands on the game, even if one of them did not really have anything too nice to say about Square Enix’s upcoming role-playing game. This is because in Conan O’Brien’s comedic segment about video games, which is aptly titled “Clueless Gamer”, the American comedian looked a bit disgusted with the latest Final Fantasy game, saying that the game is a “wasting of our time” and also exclaiming at one point in the video that this latest Final Fantasy is an “epic, blue b*lls waste of time”. At least his host (who was none other than Lord of the Rings star Elijah Wood) showed more appreciation for the game, and of course, it’s not that Clueless Gamer is to be taken too seriously anyway, as it’s supposed to be light-hearted fun… And this segment clearly was as funny as earlier ones starring musician Wiz Khalifa and Game of Thrones stars Lena Heady and Peter Dinklage. 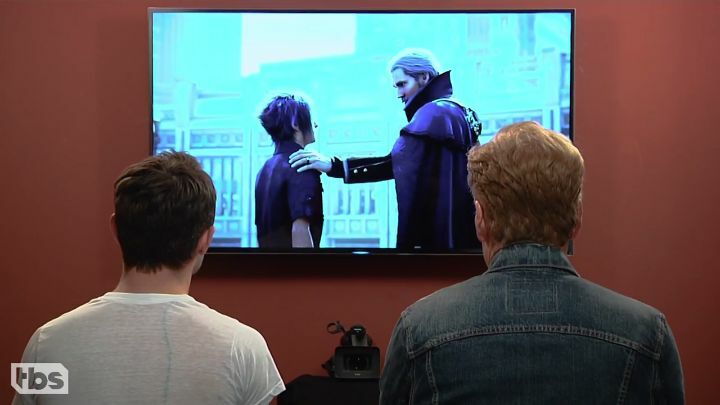 Although despite Conan O’Brien’s dissing of the game, it would certainly be a great thing if Final Fantasy XV turns out to be a solid video game that does fans of the series proud when it’s finally released later this month, on November 29. Are the PS4 Pro’s visuals good enough?